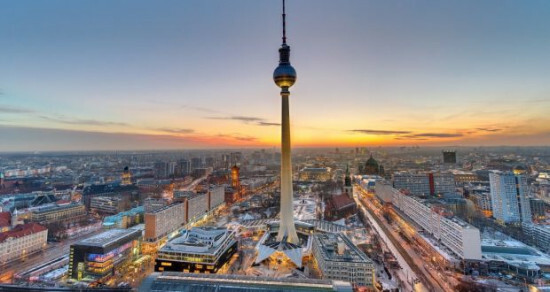 ELEKS’ new Berlin office will strengthen their presence in the region and boost partnerships with new and existing clients in the German market. This global expansion positions ELEKS as a leader in the global software development industry, with seven offices and four development centres across North America and Europe. “Thanks to our presence in Berlin, ELEKS can establish even closer ties with our German and European clients. We will be better positioned to introduce our software engineering and consultancy offerings to marketers throughout the region,” said Taras Tovstyak, Key Account Manager at ELEKS. The decision to expand into Europe and open new office was a logical step in our business growth strategy,” said Andriy Krupa, Chief Executive Officer at ELEKS. “From year to year, we work on becoming a truly global company. The opening of a new office is a great opportunity to be closer to our customers, increase our brand awareness and enrich our corporate culture with people who have a different view on solving complex business and technological challenges”, Andriy added. ELEKS is a Top 100 Global Outsourcing company that provides expert software engineering and consultancy services. For over 27 years, we’ve worked as a software innovation partner to Fortune 500 companies, big enterprises and technology challengers. Our team of 1,300+ professionals provides a full range of IT services. The software products that we build help the world’s leading brands transform their businesses, increase their revenues and save development time and operating costs.